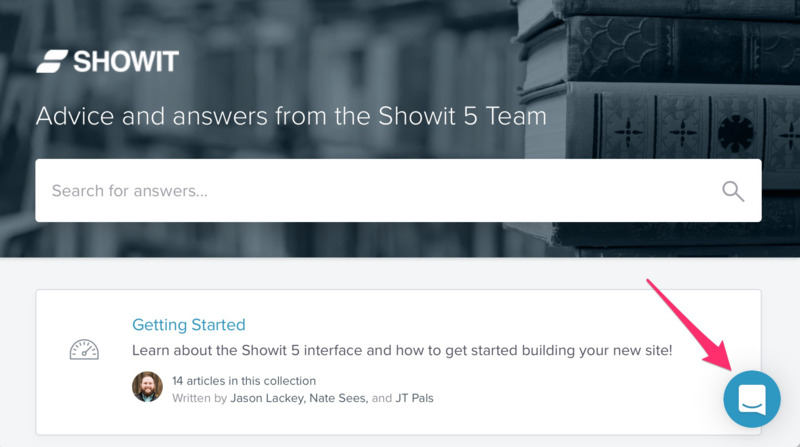 Our Showit Support Pros are available to help answer any questions you may have about using Showit or launching your new website. You can message us directly from this help center by clicking on the blue chat icon on the bottom right. We respond in the order your message was received, typically within 1-2 hours during normal business hours M-F. Your can message us directly inside of the Showit app from the chat icon on the bottom right. We respond in the order your message was received, typically within 1-2 hours during normal business hours M-F. If you are away from the Showit app and need non-emergency assistance, you can email our team at help@showit.co. We respond in the order your message was received, typically within 1-2 hours during normal business hours M-F. If your Showit website is down please contact us immediately for assistance by logging in with your account to our Emergency Support page.